Earn $3.52 in VIP credit (352 points)What's This? 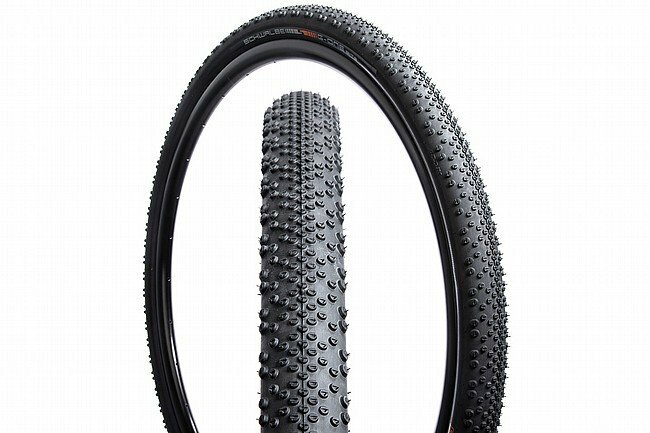 The Schwalbe G-One Bite 27.5" Gravel Tire is designed for truly aggressive off-road riding. Rather than making another "adventure" tire that tries to blend on- and off-road riding characteristics into one tire, the G-One Bite throws the road side of things out and focuses purely on quality traction and durability. As such, this tire only feels so-so on the road, but take it off the beaten path and the Bite's open tread design and strong outer blocks provide stability when cornering, biting into the trail for reliable grip.